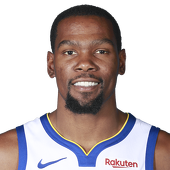 Kanter, during Tuesday's Game 5 win over the Thunder, was playing through a separated shoulder, Kevin Pelton of ESPN reports. "I just tried to play through it," Kanter said afterward. "We'll see what happens in the future." Kanter suffered the injury during the first quarter, and he went on to play 32 minutes after receiving an injection at halftime. In waiting for the Nuggets-Spurs series to wrap up, the Blazers will have off at least through Saturday. Considering he played through the injury Tuesday, Kanter should be good to go for Round 2. However, until that's confirmed, he should be considered questionable for Game 1. Schroder was productive off the bench once again, a trend that persisted throughout the series. The 25-year-old rattled off three consecutive 17-point efforts in Games 3-5, and he also hit double digits with 11 points back in Game 1. Schroder enjoyed a solid first season in OKC, averaging 15.5 points, 4.1 assists and 3.6 rebounds across 29.3 minutes in 79 games (14 starts). Under contract for the next two seasons, he'll look to fill a high-usage second-unit backcourt role once again in the 2019-20 campaign. Grant played the second-most minutes on the Thunder behind Russell Westbrook and parlayed them into another strong performance. The fifth-year big generated three straight double-digit scoring efforts to close out the series and averaged a solid 11.6 points and 5.6 rebounds overall across the five games. Those figures came in the wake of a regular season in which he posted career bests in multiple categories, and he'll look to build on those numbers during the 2019-20 campaign. Harkless produced 17 points (6-9 FG, 0-1 3Pt, 5-10 FT), seven rebounds, one assist and one steal across 33 minutes during the Trail Blazers' 118-115 win over the Thunder in Game 5 of their Western Conference first-round playoff series Tuesday. Harkless joined C.J. McCollum in posting a solid 17-point scoring total that served as an ideal complement to Damian Lillard's spectacular 50-point performance. The veteran wing stepped up his offensive game during the series, scoring between 14 and Tuesday's 17 points in three of the five games. Harkless averaged 9.0 shot attempts and drained them at a 45.0 percent clip during the series while averaging 11.0 points, 7.0 rebounds and 1.6 blocks across 30.4 minutes. He'll look to provide similar numbers in the semifinal round versus the Nuggets or Spurs. Kanter posted 13 points (6-9 FG, 1-1 FT), 13 rebounds, four assists and one block across 32 minutes during the Trail Blazers' 118-115 win over the Thunder in Game 5 of their Western Conference first-round playoff series Tuesday. Kanter sustained a left shoulder injury late in the first half after falling hard to the court, but he started the second half and turned in a gutsy performance down low against Steven Adams. Kanter generated two double-doubles overall in the series, and even though he saw a downturn while dealing with foul trouble in Game 2, he still averaged 13.2 points, 10.2 rebounds and 2.0 assists across 29.2 minutes over the five games against the Thunder. He'll look to rest up ahead of a semifinal-round matchup against either the Spurs or Nuggets. McCollum tallied 17 points (8-19 FG, 1-7 3Pt), two rebounds, two assists and two block across 32 minutes during the Trail Blazers' 118-115 win over the Thunder in Game 5 of their Western Conference first-round playoff series Tuesday. McCollum got off to a slow start and struggled from distance, but he was able to right his ship offensively over the course of the game to finish with a solid line. 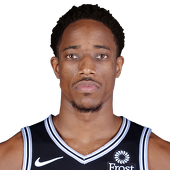 McCollum shot 42.1 percent or better in four of five games against the Thunder -- including a pair of tallies of 50.0 percent or better -- and he scored over 20 points in Games 1-4. 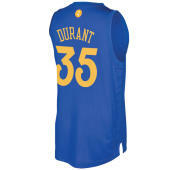 He'll look to keep up his productive ways in the semifinal round against either the Nuggets or Spurs. 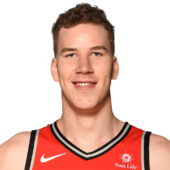 Poeltl compiled 12 points (6-7 FG, 0-1 FT), seven rebounds, and four assists in 26 minutes during Tuesday's 108-90 Game 5 loss to the Nuggets. Poeltl once again drew the unenviable task of defending Nikola Jokic. 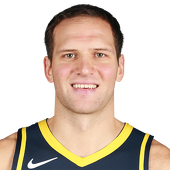 While Poeltl struggled to contain Jokic once again, San Antonio's 23-year-old center produced playoff career highs in scoring and assists and continues to receive ample minutes. Jokic recorded 16 points (5-11 FG, 2-4 3Pt, 4-4 FT), 11 rebounds, eight assists, two steals, and one block in 33 minutes during Tuesday's 108-90 Game 5 win over the Spurs. Jokic filled up the stat sheet yet again and likely would've accumulated more minutes (and thus more counting stats) had the score been a bit closer down the stretch. Jokic repeatedly found cutters and created good looks galore for himself and others, and he'll try to help his team close out the series during Thursday's Game 6. Embiid scored 23 points (9-18 FG, 2-5 3Pt, 3-3 FT) and registered 13 rebounds along with two assists and a steal over 20 minutes Tuesday against the Nets. Embiid played fewer minutes than all four of the other starters, but he was efficient from the field and recorded his fourth double-double of the postseason. The 25-year-old center turned in a dominant first round, averaging 24.8 points despite battling through a knee issue. The Sixers will face the Raptors in the next round. 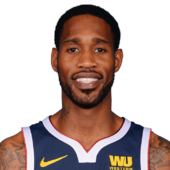 Allen registered eight points (4-8 FG), nine rebounds and a block over 24 minutes Tuesday in Game 5 against Philadelphia. Allen knocked down 50 percent of his shots in a 122-100 loss for the Nets. The Sixers took the series 4-1 following Tuesday's blowout, ending Allen's postseason journey. He averaged 11 points along with 6.8 rebounds over five matchups. 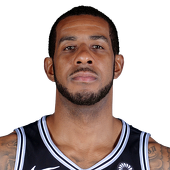 Aldridge chipped in 17 points (7-13 FG, 1-1 3Pt, 2-3 FT), 10 rebounds, two steals, and one block in 31 minutes during Tuesday's 108-90 Game 5 loss to the Nuggets. Aldridge has gone for a double-double in two of the last three games. However, he has also failed to score 20 points in two of the last three. It's likely that the 33-year-old big man will need to step up offensively in order for the Spurs to keep up with the Nuggets and extend the series during Thursday's Game 6. 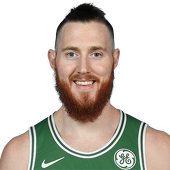 Plumlee pitched in one point (0-4 FG, 1-3 FT), three rebounds, and one block in 16 minutes during Tuesday's 108-90 Game 5 win over the Spurs. 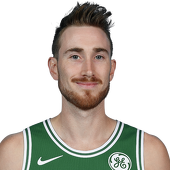 Plumlee has earned less than 20 minutes in four of five games here in the playoffs, and this was easily his worst outing yet. Moreover, his per-game averages have unsurprisingly dipped across the board as coach Michael Malone has been limiting the amount of time Plumlee and Nikola Jokic share the court. 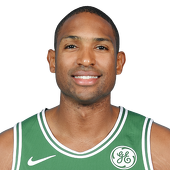 Bolden was ejected late in Tuesday's Game 5 against the Nets, Keith Pompey of The Philadelphia Inquirer reports. In garbage time, Bolden was involved in a scrum. It seems unlikely he'll be suspended for Game 1 of the next round. Either way, his role in the playoffs thus far has been minimal. 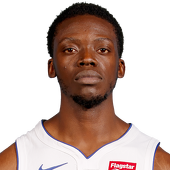 Siakam totaled 24 points (8-16 FG, 3-5 3Pt, 5-6 FT), six rebounds, four assists and a block across 32 minutes in the Raptors' win over the Magic on Tuesday. It was another big night for Siakam, who had an extraordinary first-round performance after a breakout regular season. He scored at least 24 points in three of five games against Orlando and pulled down at least nine boards three times. He'll try to keep the momentum going in the Conference Semifinals, where Toronto will face either Philadelphia or Brooklyn. 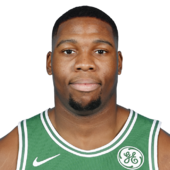 Scott has been diagnosed with a right heel contusion and he will not return to Tuesday's Game 5 against the Nets, Tom Moore of the Bucks County Courier Times reports. Unsurprisingly, Scott will be held out for the remainder of Game 5. 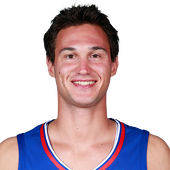 He should tentatively be considered questionable for the Sixers' next contest. George's scoring total paced the Thunder in their series-ending loss, capping off a sensational string of games for the All-Star forward. 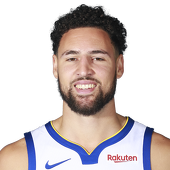 It clearly seemed George was struggling with his troublesome shoulder to some degree throughout the series, but he still managed to average 28.6 points, 8.6 rebounds, 3.6 assists and 1.4 steals across 40.8 minutes over the five games. George also put together an MVP-caliber season with career bests across the stat sheet, and he'll strive to top himself against next season as the Thunder look to rebound from a third straight first-round playoff exit. 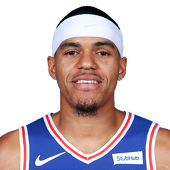 Craig amassed one point (0-1 FG, 0-1 3Pt, 1-2 FT), 10 rebounds, and one block in 28 minutes during Tuesday's 108-90 Game 5 win over the Spurs. 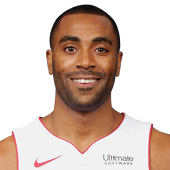 Craig provided superb defense on DeMar DeRozan and went to work on the glass. While he wasn't able to replicate Saturday's effort offensively, Nuggets coach Michael Malone has every reason to keep starting Craig and relying on him to play decent minutes as the series shifts to San Antonio for Thursday's Game 6. Harris finished with 12 points (5-8 FG, 2-4 3Pt), eight rebounds, four assists and three steals in Tuesday's win over the Nets. Harris and company managed to take care of Brooklyn in five games, although the 26-year-old certainly didn't play his best series. He was held to four points in Game 1 but managed to respond with four straight performances of 12 or more points. Harris will aim to get off to a better start against the Raptors in the next round. Hollis-Jefferson tallied 21 points (9-13 FG, 1-1 3Pt, 2-5 FT), two rebounds, an assist and two blocks over 15 minutes Tuesday in Game 5 against the Sixers. Hollis-Jefferson was one of the only Nets to find success in Game 5, and Philadelphia was able to close out the series with a 122-100 victory. 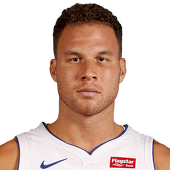 The 24-year-old forward finished in double figures three times during the postseason and averaged 13.3 points over four games. 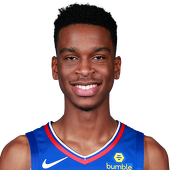 Barton contributed 17 points (7-11 FG, 1-4 3Pt, 2-2 FT), five rebounds, and three assists in 28 minutes during Tuesday's 108-90 Game 5 win over the Spurs. 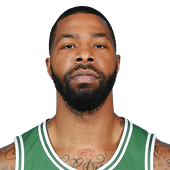 Barton enjoyed by far his most efficient showing in this series offensively while earning his highest minute total since Game 1. 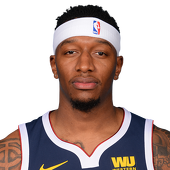 He seems comfortable coming off the bench while former reserve Torrey Craig has performed admirably as the starter across these last two games. Expect Barton to stay aggressive as the team tries to close out the series during Thursday's Game 6. 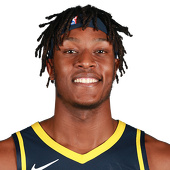 Butler finished with nine points (4-9 FG, 1-2 3Pt), five rebounds, five assists, three steals and a block across 27 minutes Tuesday against Brooklyn. 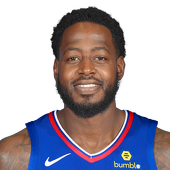 Butler didn't impress in the scoring column as he typically does, but he put up numbers across the board helped the Sixers to a 122-100 victory, closing out the series. 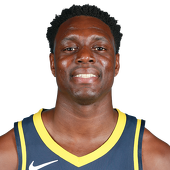 The Marquette product's contributions were sporadic throughout the first round, as he was held to nine points or fewer in two of the five matchups. Butler will aim to get off to a hot start in the next round against Toronto. LeVert racked up 18 points (6-12 FG, 1-3 3Pt, 5-8 FT), three rebounds, four assists and a steal over 31 minutes Tuesday against Philadelphia. LeVert pieced together a solid final line, but it wasn't nearly enough to prevent the Sixers from closing out the series with an impressive 122-100 victory. He was a solid source of production throughout the postseason, averaging 21 points over five contests. 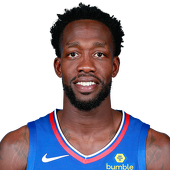 Musa was ejected from Tuesday's Game 5 loss against the 76ers, Keith Pompey of The Philadelphia Inquirer reports. Musa was playing garbage time minutes and got involved in a scrum. 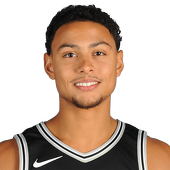 The rookie will finish the year having appeared in nine regular-season games for the Nets, totaling 19 points, five rebounds, two assists and two steals in 39 minutes. Westbrook's spectacular exploits weren't enough in the series-ending loss, as the Trail Blazers' Damian Lillard broke the Thunder's heart with a buzzer-beating three-pointer to send OKC home. Westbrook did manage to bounce back to an extent from an atrocious shooting night in Game 4, one in which he'd drained just five of 21 shots. The triple-double was the second of the series for the perennial All-Star, and it marked the 10th time in the postseason that he's accomplished the feat. With another first-round playoff exit, Westbrook and the Thunder will look to regroup this offseason. Lillard totaled a career-playoff-high 50 points (17-33 FG, 10-18 3Pt, 6-8 FT), including a game-winning three-pointer, seven rebounds, six assists, three steals and one block across 45 minutes during the Trail Blazers' 118-115 win over the Thunder in Game 5 of their Western Conference first-round playoff series Tuesday. Lillard capped off a masterful performance by clinching the first-round series for the Trail Blazers with a long-distance dagger from just inside the team logo at half court. 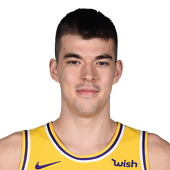 The All-Star guard had enjoyed a spectacular first half in which he'd accumulated 34 of his points -- with 19 coming in the first quarter alone -- so the last-second shot actually capped off what had been much quieter third and fourth quarters. Lillard now has 12 career postseason games with more than 30 points and will look to spearhead the Trail Blazers' efforts once again in the semifinal round against either the Spurs or Nuggets. 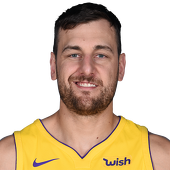 White had 12 points (5-11 FG, 1-2 3Pt, 1-3 FT), two rebounds, two assists, and one steal in 22 minutes during Tuesday's 108-90 Game 5 loss to the Nuggets. White didn't post a terrible stat line, but he was outplayed by Denver's Jamal Murray for the second straight contest. Moreover, foul trouble convinced coach Gregg Popovich to take White off the floor early in the third quarter, after which the score was lopsided. White will look to help his team stay alive in Thursday's Game 6. 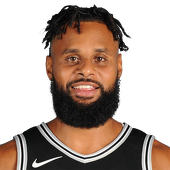 Murray supplied 23 points (9-16 FG, 4-9 3Pt, 1-1 FT), seven assists, four rebounds, two steals, and one block in 28 minutes during Tuesday's 108-90 Game 5 win over the Spurs. Murray was absolutely remarkable, dominating the opposition while helping his team put the game out of reach early enough that he was able to grab some extra rest down the stretch. 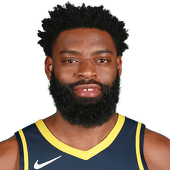 Murray has now scored at least 23 points in three of the last four games, and he posted playoff career highs in rebounding, assists, and made threes in this one as well. He'll look to lead his team to the second round during Thursday's Game 6. Simmons accumulated 13 points (6-10 FG, 1-3 FT), five rebounds and six assists over 27 minutes in Tuesday's Game 5 against Brooklyn. Simmons shot 60 percent from the field and contributed across the board to close out the series with a 122-100 victory. The 22-year-old point guard got off to a slow start to the first round and was held to nine points in Game 1, but he bounced back with four consecutive performances of 13 points or more. 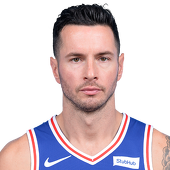 Simmons and the Sixers will face off against Toronto in the next round.